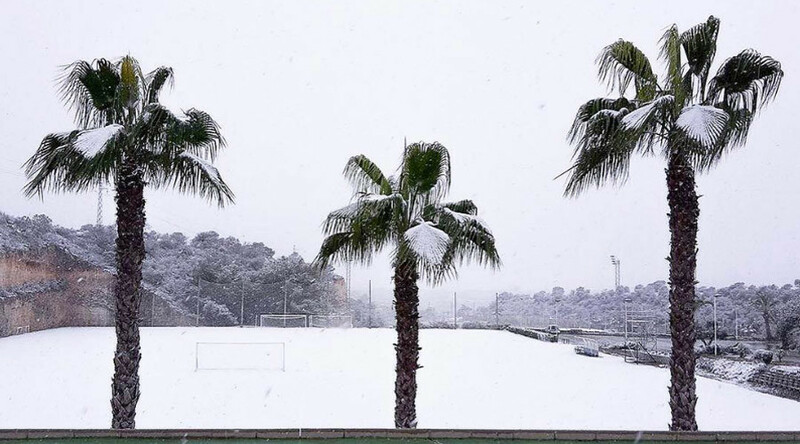 CSKA Moscow warm-weather training in Spain scuppered... by snow! Russian Premier League (RPL) champions CSKA Moscow felt right at home at their warm-weather training base in Spain – as their pitches were covered in snow! The squad are currently in Campoamor on Spain’s south east coast – a destination that shares a coastline with holiday hotspots Benidorm and Alicante – to conduct their usual warm-weather training during the RPL winter break. However, their plans stalled when the pitches at their training base were covered in snow as the region battles an unexpected bout of bad weather and precipitation. The club took to social media to vent their frustrations. CSKA are in Spain for two matches against Swiss team FC Wohlen and Polish team PIast Gliwice S.A. in Campoamor on January 21 and 22. Meanwhile, current RPL leaders Spartak Moscow today touched down in the United Arab Emirates to begin their winter break training, where they will play two friendly matches against Astra and FC Copenhagen on January 19 and 31 respectively.